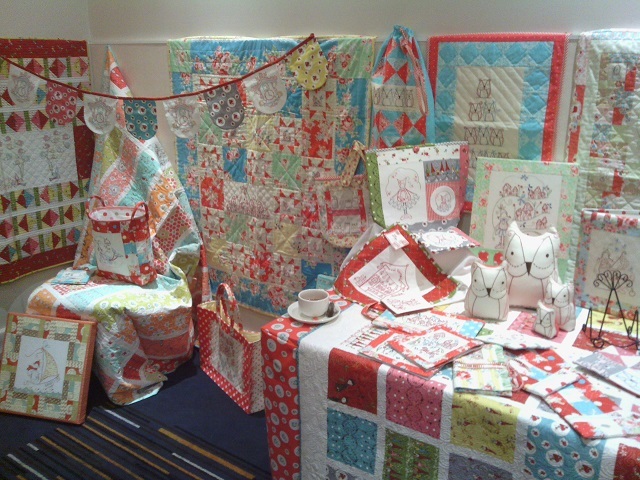 We had a lovely day yesterday in Melbourne at the Novotel in Glen Waverley attending 'Friends in stitches' with Gail Pan (Gail Pan Designs), Leanne Beasley (Leanne's House) and Natalie Lymer (Cinderberry Stitches). A big thankyou to Lisa, Jenelle and Cindy for coming with me to spend this lovely day stitching together. We enjoyed a lovely lunch, morning & afternoon tea together too. Gail, Leanne & Natalie went around to all the tables and said hello to us all and shared some stitching tips and techniques too. We also received three lovely new patterns - one from each designer (plus all the fabrics to finish them too) and three postcard designs too. 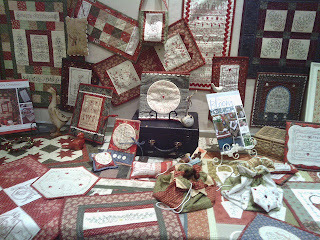 The three designers had setup displays of their designs on tables and had quilts all around the room - which were just wonderful to see. 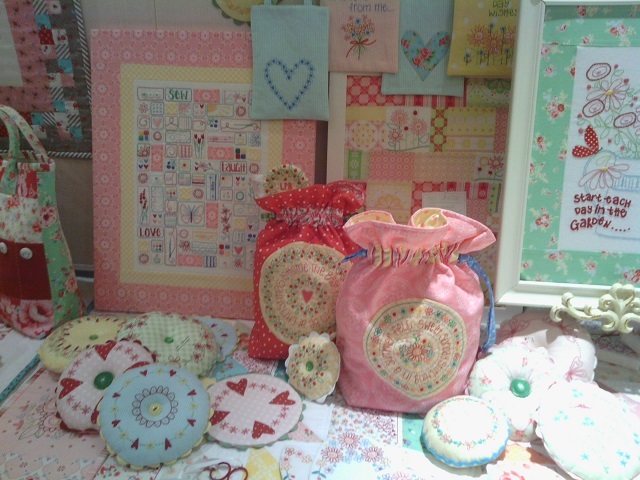 There was also Craft Haven of Berwick there so we could stock up on patterns, books, fabrics and threads too. A great day that just seemed to go so fast! Can't wait for the next one! Hey Jody it was such a fantastic day. I really enjoyed it. Felt strange being away from baby Logan, I kept feeling like I had forgotten something. But hubby and the 4 kids had agreat day with mum away. Hope we can do it again next year.